Sign in for your free sample lesson. We’ll send you one right away. After that, we’ll send you several other free lessons as well as tips, tricks and ideas. You’ll be able to see how others have taken the free lessons and added their own creative ideas that you can put to use. You’ll find their photos inspirational. In addition to receiving sample lessons, you will get notifications when we have special offers. When, we have a new lesson available, you will be one of the first to know. If fruit carving ceases to be of interest to you, you can easily opt out at the bottom of any of my emails. I only want to send my entertaining emails to those who enjoy receiving them. Here are only some of the many responses I’ve received from people who get my emails with sample lessons, photos, ideas and more. I always enjoy these tidbits. Thank you for the lesson and video. You are very easy to understand and the use of “laymen terms” works very well for me. I am excited to try my hand at making a fruit bowl. Thanks again, and happy carving! I just want to thank you ever so much for the free classes. I really enjoyed them and have learned so much. I have attached pictures of what I have done so far. I still need lots of practice, especially on the striped watermelon bowl, but you were right, I received lots of aaahs and ooohs!!! It’s so much fun, I love it and you are such an amazing teacher! I will be ordering your 15 week classes soon! Hi and thank you. What a delight to see such beautiful artistry… Unbelievable!. Such a delight to see such beauty. Love your updates. Hi Nita, I am grateful that i found your website. I did a wonderful bouquet of radishes for my girlfriend. She thinks am a master fruit artist. More points for me. THANK YOU SO MUCH! …let me try it….I Went to market n buy fruits n made it…really it’s so lovely n different…everyone impressed by me with this new innovative cake….n said it’s different n healthy cake. Thank you for your great ideas and videos. It (the radish bouqet lesson) was really awesome. I have been carving for my friends on their parties or special occasions and even at the church but I am still open to learn new ideas and new carving techniques. The radish bouquet really awesome in fact it convinced me this morning to order the 11 week online video course with the DVD set including the carving knife, sponsored by my and employer and friends. I am looking forward to learn more and have fun with this course. Hi Nita, THANK YOU you have made me the HAPPIEST person EVER yes that is what I wanted you made my day, month and year with that e-mail and it came at the right time since I was depress about a family problem but you are just what I needed to snap back in my book you are NUMBER ONE and you are also an ANGEL ON EARTH by giving a lot of people your talent and your time GOD BLESS YOU and once more THANK YOU. I just love all these inspirational ideas. What a wonderful website. I get so excited to see what’s next. Hi Nita. I m so happy to get ur watermelon cake lesson.I made one for my home party! It was so beautiful..everybody praised it and it was the center of attraction!! I’m getting all these ooh. ..only because of u. Thank u sooooo much! Hi Nita, I very much enjoy viewing all of your carving e-mails. In the next few weeks I will place an order for some tools. I’m in Australia, New South Wales. Thank you so much for your beautiful, easy demonstrations of carvings. I appreciate your time and I will be in touch re tools I need to purchase. I am really pleased and totally thankful for the videos that you keep sending me. These videos are of great value and use to me since they help me make every meal better than the other for my family. First off, You are incredible, I absolutely adore your uncanny brilliant masterpieces. I’m a banquet Chef at a Country Club. There, I arrange and execute several buffets and catered functions. You have motivated and transcended direct vision and confidence upon my entire culinary psyche. Much respect peace and love you are indeed a Phenomenal Woman, many blessings. “When I saw your fruit and veggie carving, my eyes opened wide and a big toothy smile came to my face! I always wanted to learn how to carve, but I NEVER expected to see such unique and amazingly gorgeous carvings! I hope you keep in touch and continue e-mailing me your beautiful carvings. I got the radish bouquet video as well as the watermelon one. I loved them both. I have attempted a few carvings in the past using books, but this is so much easier actually watching you do it. I wanted you to know how much I am enjoying these free lessons. Thank you so much for this great opportunity to learn this art. I loved your watermelon lesson u send me. These are amazing. It’s very easy to be made, the way you gave details. Thanks. Thanks for all the beautiful carving you have sent me. I am so excited and impressed at your creativity. Thank you for all the free lessons! I told my friends about you! Now every time I go to a party I bring a watermelon cake. It’s always a hit! They like it because it’s a healthy dessert & a great centerpiece! Tks Nita. I always enjoyed & interested in each e-mail you sent out, many thanks for your kindness. Your videos are great! Thanks so much for sharing them, I must say that you make it look so easy! I’m learning so much from you and enjoying it. Soon i will buy some tools. Thanks Nita! You’re the best!!! Looking your free videos I made fruit cake. Everyone loves ! Hey, did i tell you that your vegetable fruit carving videos available on your website for beginners was helpful to me???? ?I don’t think so i informed you, did i???? Well, all thanks to you and your videos and tips that i got the first prize in vegetable carving competition held in our school.Thank you soooo much Nita Gill.!!!!!! Hi Nita: As always, beautiful carvings. I have no words to express the marvelous talents you have. You are simply God’s gift on this earth I must say. Hat’s off to you to these beautiful carvings and the mighty ART in you. Thank you very much for all the work you display I love it and all my friends n colleagues appreciate your work n the talent in you. I get so happy to watch them. going to try it for my husband tomorrow night. He loves radishes! A long time ago I took a lesson with a local lady here who had a catering business and we did some melon flowers and it was so much fun but it was only one class (2 weeks/once a week) so I had forgotten much of how to make the actual flowers so this was a fun! I can’t wait to try the watermelon bowl soon! I love your job,Im learning a lot.!!!!!!!!!!!!!. Dear Nita – you are wonderful – in case someone else has not said that to you. Hi Nita, I would thank you for sending me some of the most amazing carvings and information . I am a chef from a five star hotel from Rhodos Island Greece now living in New Zealand. I am a specialist in meat and small goods. I do butter and ice sculptures as well. So it is wonderful to speak to a culinary artist. thanks. Thank you so much for all the in formations and photos you have been sending me, I love and appreciate your continuous support. I have been enjoying your carvings sections and e-mails which you are still sending to me. I thank you so much for the interest to sending me your carvings by e-mails and spending time for me. Thank you so much for making this video! I’ve got a party coming up soon, and everyone’s going to be wondering how I got such a beautifully carved watermelon! I’ll send them all to your website so they can give it a try at home themselves! as well as your free lessons. Thank you very much. I really appreciate it. You are so nice, and explain so well, that even me, a Brazilian person can understand your lessons. Thank for sending me all of your inspiring fruit carving. I learn a lot from your works. church with fruit carvings every Sunday. amazing. That’s why am interested with your curving, It is easy to follow. I totally **love** this website — not much op to practice any of it, but the photos & how-tos are hugely inspiring! Thanks!! Sending me these e-mails gives me great pleasure to see the work and art that is involved in doing these carvings. Thank you so much once again, as I really enjoy them. Thanks for remembering to send me this recipe (St. Patrick’s Day Drinks and garnishes). Everyone enjoyed it in church when I mixed it the other day. Thanks very much for your kindness! Thank you so much for sharing this with me. I made the radish bouquet for my church dinner during the lent. I will send pictures soon and also I would like to purchase U/V cutter set next week. Thank you again for these free lessons, they are awesome and you are as well. The free radish bouquet video was awesome as well as it was surprisingly easy. Thank you so much for the videos, I’ve learned so much by just watching them. I learn everything you make really fast by just watching one video, you explain really good so Thank you. You’re the best! Thank you so much for sharing your wonderful art. You are a very talented lady. I love watching your videos of beautiful carvings. Thanks again for spreading the joy. Wish you continued success and God Bless You. I think what you are teaching is great! My husband introduced me to your site and I have been a fan ever since. The juicy creativity you showcase is simply delicious. After watching your watermelon cake video, I decided to give it a try which was a good thing because it coincided with my friend’s christmas eve party. Please find attached a picture of my cake.(Smile)! All I heard were ooohs and aaahhhs like you say it. I am a banker but doing this gave me more thrills than banking ever has. Thank you for sharing techniques at tips. Wanting to wish you a very happy holiday and thank you for your amazing inspirations. I was first introduced to this incredible art by you. I have had such great satisfaction watching your free lessons that I actually purchased a few things from you . Again from the bottom of my heart I thank you. Nita, What a lovely lesson. You know how to keep me opening your mail. I plan to purchase your melon carving lesson in the spring. The lovely platters and bowls are very unique and creative! I will try it sometime with my grandson …Have a wonderful Christmas holiday! I just checked my email today and take a look at the videos you sent. It was incredibly amazing. Thank you so much. I must say that i really appreciate and enjoy the e-mails you send me because they give me so much joy and happiness. Like your hands are carving flowers, your heart also carving flowers for others. Thank you for the information about beet greens. At first I wanna say THANK YOU very much for your instant mail with the lot of variations of fruit garnishing. I hope my english is not too bad and you can understand my Happiness. I’ve learn in so much from your lessons, so many other people says: “is it possible to make such beautiful things with fruits. I must say I live in the eastern part of Germany and in my county it isn’t normal to do such garnishings. I ever say I have learn this from Nita Gill, a very important Woman in this section. Many other Women want look at your fantastic Site. Thank you and in the next time I think I send you one or two or …Photos as a little Thank to you. You are amazing, and I am very grateful to have those carving videos. I would like to thank you for all the ideas you have been willing to share. Your gallery is most impressive! Not only is your skill level amazing your manner of delivery is very appealing. Thank you for the wonderful lesson. I am just beginning to do different creative work on fruits and vegtables. Thank you for the free video lessons. I hope to start acquiring some of the tools. I did make aswan out of a watermelon and it was a big hit for an anniversary party. THANK YOU . Thank you very much you are so kind with me, I am feeling so sweet, My husband he passed away few month ago so I am very sad and lonely, I live alone and very stress, I have 3 kids but they are married and independent, we are Vietnamese. I think I have to learn a lot in this country, learn every thing. If I havegood health I will better, all of your video you sent to me I save on my documents and I will reopen every day when I check my email. I wish you have good health and day by day having success more and more. God bless you. Kim Tram Ho. A big thank you once again for all your updates and awesome decorations, I have looked and admired all of them, truly talented and gifted, all the beautiful ways the fruits and veg were presented builds up an appetite for sure. Will get back to you soon. Yes I did received the video, it is amazing, I loved it. You are incredible. Thank you very much. Thank you for sharing these lessons….the new one for me was the carrot garnishments….they are wonderful for making a plain table setting fun and/or elegant….not bad in the ohhhs and ahhhhs for the backyard barbeque either. Thank you very much for sharing with me and others, it was beautiful I think I am falling in love with fruit and vegetable carvings. I really love it!!!!! Nita, thank u very much for the free watermelon bowl lesson .it is so useful and very beautiful. I am sure..it will give me lots of …waow…from my friends!! .I am looking forward for it!!!. Thank u so much again. The watermelon carving lesson was amazing. You make everything look so easy. Thank you for giving me an opportunity to view your lesson. Once again it was OUTSTANDING! You are a great help as I am in the catering business and it helps with ideas. I just love your emails. They always inspire me. Its amazing how artistic one can be from the use of a piece of fruit or vegetable. I , for the first time made the rabbit out of honeydew for Easter. Many compliments. thanks miss nita .i had a vegetable carving competition in my school and i tried your simply and lovely watermelon cake and i got FIRST prize. every one asked me how i made it i said that my aunty is nita gill she teached me…….THANK U THANK U THANK U THANKU…………………………………………….. 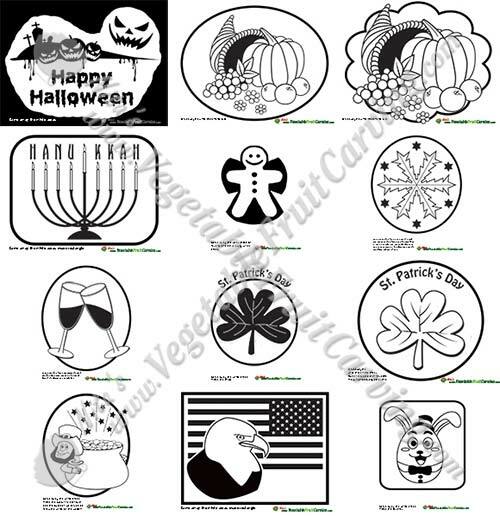 Thank you very much indeed for the numerous e-mails I received on Fruits and Vegetables carvings. They are indeed awesome and inspiring !!! I’ve never tired of admiring them. Once again … THANK YOU !!!!!! Hope there’s more to come ! I loved your free lesson and the every video that I have seen. You are fantastic! You speak very clearly and it is kind of easy to understand all you say. Besides you looks like a very nice person. Hi Nita, I can never thank you enough for your encouragement and ideas, happy Easter, God bless have a wonderful weekend. Thanks for all the tips and pictures. I love getting your e mails. I also got my tools for pumpkins this week. Hi nita,I am very happy of your lessons for fruit and vegetable carving.I am receiving lots of ooooh.waw!! from my friends! !thanking you. successful at carving. Thanks again Pam Terry. Thank you that was awesome and so are you,thanks again for your kindness and the free videos. Where I live is warm and sunny most days, that is Malaysia. I peeled some mangoes and used the skin to make a beautiful rose to decorate the plate, my family was impressed, also the tomato rose in my salad bowl, looks so pretty. Bye for now. Re: How did you like your free Watermelon Cake Lesson? I did not only like it, I love it. You’re amazing.Thanks. I surely would like to have one of the DVDs. Hi Nita, Thank you for your lovely updates with the images of the fruit carvings you have sent me. It’s been a wonderful hobby to explore! Thank you for the pictures that your students was carving, it is beautiful, I very appreciated for sharing it to me. I love every one that you had have sent me. I’m so grateful and my pleasure for sending me some simple videos on how to carve fruits and the outcome is so elegant and very interesting to make it. Thank u so much for this ideas and I really appreciate it. I’m so impressed for the vegetable and fruit carving made.It gives me an idea on how to make my fancy fruit bouquet. Thank you for sharing a free video. Hope you will show more:) God bless and more power! Wow! I have go through the below links, and they simply FAB! I will get back to you for the tools soon. It was amazing to see how a melon could be transformed into a work of art. I would definitely try my hands on it. That is totally awesome…can’t wait for the video. Cake decorating is a hobby of mine, then again I can sell these !! Love your videos. I have been looking for something like this for a while now. I have been doing carvings for family birthdays and functions for a few years. But your videos are helping me pump it up a little bit. Thank you very much Nita for sharing and caring. Hi nita i learnt a lot from ur courses and emails thank u so much !!!. It’s always a pleasure to watch you videos. This unique watermelon cake is a great idea that I will use at my Labor day cookout. 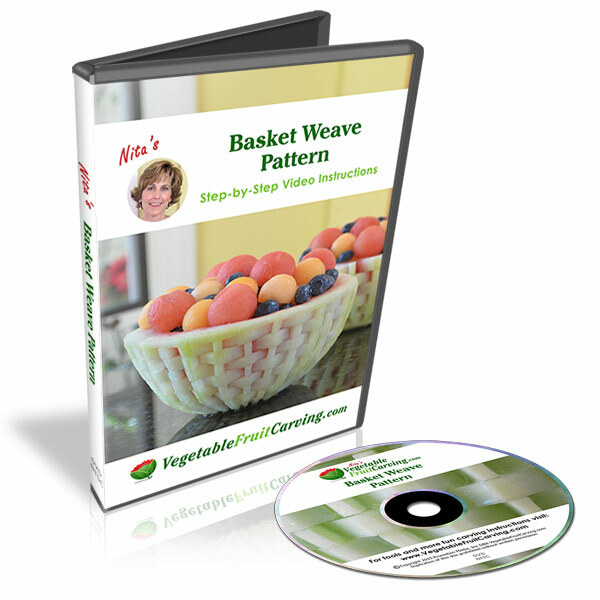 You have a wonderful gift in creating fruits and veggies like I’ve never seen before and you make it look simple. One of the things I plan to do when I retire is to do this for special events and parties. I would like to purchase many of the tools you use for carving. Will you please give me that information? i love it sooooooooooooooooooooooooooooooooooooooooooooooo much. I really enjoy receiving and reading your mail…. you are such a talented person… may god give you good health and long life so that you can pass on your knowledge to people like us who want to learn. Our 9 year old daughter just made a cake…she did a great job and thoroughly enjoyed doing it 🙂 Thanks for all your inspiration…soon we’ll be buying some ‘ttols’ from you – make a great birthday gift. I love it!!! I ordered some tools (Corrugated U Cutter) and I can’t wait to start using them. Very excited, thank you so much!!! You are amazing and a great instructor! I would love to learn more things from you…. thanks watermelon cakes are vvvvvvvveeeeeerrrrrrrrrrrrryyyyyy beautiful and unique. your ideas are always superb. You are so generous and kind, god bless you and family. I enjoy looking at all the carvings you shared and find them delightful.Thank you and have a great weekend. My name is Patricia Alexandre from Miami Florida , thank you for sharing your vegetable and fruit carving. AMAZING !!!! !I, I have enjoyed, your work, My sincere Respect…THANK YOU!!!! I did this for an iftar dinner yesterday at my house in KL… the guests were overwhelmed… They couldnt believe it was made with a watermelon………….. malaysia has so many fruits.. so its easy to create lovely decor. Its 7:45am in kenya right now. I am always delighted to check my mail and get something new from you. Gives me the strength to go to the market on saturday. Enjoy your weekend. Hi Nita, Thank you very much for the pictures and the viedo of the watermelon cake. For my Father and Sister’s birthday last weekend I made traditional birthday cakes and had my Sister’s kids help me make a watermelon cake, the kids had a blast!!!! I have finished looking all my eyes can possibly stare at. The cake definitely is out of the box work. It is unusual, impressive and something one can do with ones own choice of flowers etc. It is indeed a good idea and I am really happy you sent me the link. Thank you. From there other ideas can grow. Next week I will purchase your DVD so that I have a full view and learn more about your creations. I am glad I hit your web! Thank you, I appreciate all the videos. I am a Culinary student and I’ve used your carving tips for some of my dishes. The chefs at the school were impressed. I hope to someday purchase the video. Thank you very very much for all your tips and videos, I sure enjoy them and I even tried out some of them and they were so gorgeous and my family and friends were so amazed by it, Pls keep me informed of any new tips and videos. Thank you once again. I am a deaf cook working in the garde manger department. If your videos had included closed captions, that would be very helpful. However, I have been watching your videos by hands on details and I truly enjoy it. Amazingly, your site is the only site that showed a lot more easy tasks and details on the carvings. It is really difficult to find good books on how to learn how to carve on fruits and vegetables. But, you are the mastermind! Thank you! Thank you for creating and carving. I love your videos and your lessons. Your videos have helping me. Hey!! !…thanks for the emails…THEY ARE REALLY HELPING!!! Thanks a lot for sending me these free lessons. Love your emails. Keep them coming. Thanks, Nita! Wow I have watched all your short videos, I am so impressed! I love the watermelon cake for your friend,I was baking a lot of wedding and birthday cakes, and even selling desserts at the factory I worked at. Then my husband had a heart attack and life changed, I stopped baking so much, because its just so bad for you, I didn’t want to be responsible for others having a heart attack. I made bacon/ tomato sandwich’s today and started to cut that roma tomato and I thought I am gonna give it a go and I made my first of many to come roses, My husband even knew it was a rose when I handed him his plate!LOL!!! Thanks Nita it was very nice of you to send those video’s. I have been looking at your courses and tools and maybe I will order some tools and something to get started on. Thank you for your inspiring videos and updates. I just love your teaching methods and it gives me the drive to try carving with my little kids around watching in awe. Thank you for sending me the watermelon carving previous. You are so very talented, makes things look so easy to carve watermelons , and yet they come out so so pretty. I also looked at the watermelon cakes, Wow what an idea, they are great. Looking forward to order the watermelon carving, I think that will keep my mind busy in spied of such stressful time I’m having with my husbands health problem. It is wonderful. You were right…I did get ooohs and aahhhs from my family. Every time I watch your beautiful videos about vegetables and fruit carving, I enjoy them a lot and watch them again and again and again. Your talent is amazing and the creation of such wonderful carvings is so worth watching. My English may not be so good but I am trying my best to express my feelings and ,that how much I enjoy every time I watch your vegetables and fruit carving videos. Thank you so much for the video. I made to bouquet for a friends baby shower and everyone loved it. They thought it was professionally made or store bought. Thank you for the lesson and I hope to purchase your videos and tools very soon. My next project is the watermelon basket… wish me luck! Many thank for your wonderful lesson! i got free video of bouquet lesson and it was amazingly sooo easy to make. THANK YOU VERY MUCH …….I really enjoy to watch your carving just exactly on time for my son’s birthday party Im hoping to see more……GOD BLESS YOU AND MORE POWER. MERRY CHRISTMAS TO YOU AND YOUR FAMILY. I would like to thank you for all the video blogs that you have posted and shared with us. They are a great help and we are over all really pleased with the results. Thxxxxxxxxxx soooooo much for your amazing ideas.!!! competitions pictures, loved it thanks again. Many thanks, Nita. I’m really enjoyed and loved all your inform. that you sent. I will try them on my Tuesday dinner. That is very nice, you gave me idea for our Canadian day on first of July I think it is much easier to make Canadian flag it’s only white and red. Receive greetings from Guatemala, thank you very much for your mail, I am really excited about the lessons. Thank you for sharing with us your wonderful ideas. Thank you for sending this to me. I love it!!! Hello, I have received soo much inspiration from your work…. Thank you so much re-sending the above link. I am so surprised at how easy you make it look. I always think I couldn’t do that then I listen to you and suddenly it all seems so easy. I have my daughters wedding next month so your free videos are brilliant. I really enjoyed your website and it saved me when I needed the ideas in the nick of time! Thank you so much nita ji for sending me such an amazing videos. pls always be in touch. u are really a very creative person. Thank you for the lesson and video. You are very easy to understand and the use of “laymen terms” works very well for me. the carving of your water melon and others for the 4th of July is amazing. Thank you for posting it me. thanks for updating me. i love ur carving alot. You have become a fine true friend and you don’t even know me!!! Every e-mail of yours is read and copied by me. You see I am a “copy artist”, but I do tell everyone where each and every lovely idea comes from….from you! Thank you for making my friends and family think I am a genius. I signed up on your site a while back and have been receiving emails ever since. I must say I am quite impressed…. I am a flair bartender (bottle flipping, garnish tossing tin spinning and fire breathing) as well as bar owner. Keep up the great work, love your art! Good morning Nita, greetings from Guatemala. Here is my photo of the bowl I did. I am not a person with ability in handicrafts, but I am trying to learn to carve, and you really make the things easy and inspired me. i should say i am among the lucky people to have subscribed for fruit and veg carving. long time I email to you. However, I check my mail everyday and I look your email send to me. Really interesting. Thanks for think about me! See you on my mail. I love your July/4 Watermelon. Many thanks to you and wish you and your family have a great holiday. I always wait for your e-mail b/c make me very happy and interesting. Love Trang Pham. seeing your creations you should do them for a fancy restaurant! you’re such a motivating factor! it is wonderful i. you were right…i did get ooohs and aahhhs. I think I will learn from you forever!